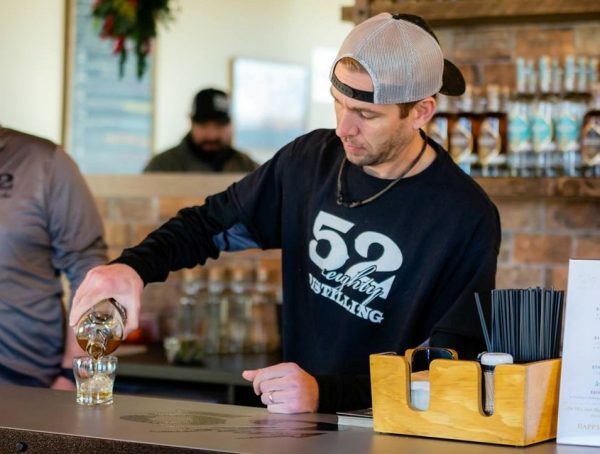 52eighty Distilling is hoping to make a splash in Littleton’s craft distilling scene. The new distillery, located at 10488 W. Centennial Road, began production at its new facility last August, and opened its 800-square-foot tasting room Dec. 8 in the same building. The company reported a $992,500 funding round to the SEC this month, which co-owner Drew Demgen said has been spent starting up the business. Demgen launched 52eighty with his brother Erick and their longtime best friend Lou Pacenta. The three men, who all previously worked in corporate finance, were big fans of home brewing, according to Drew Demgen. From left to right: Erick Demgen, Pacenta and Drew Demgen. So the trio took the plunge, even putting second liens on their houses and cashing out 401(k)s to fund the business, Demgen said. It was about a three-year process, including six months of build-out at their facility. 52eighty is one of only two distilleries in Littleton, joining micro distillery and whiskey bar Rocker Spirits, which is located downtown. The distillery offers two varieties of whiskey and two more of vodka. Its Hearthstone Whiskey is a blend of 3-year-old Irish whiskey and rye whiskeys, and its Cackler’s Whiskey combines traditionally aged bourbon with rye bourbons aged at a quicker pace, according to 52eighty’s website. Its vodkas include Summer Peach Vodka, made in small batches from organic peaches grown in Palisade. Its Winter Wheat Vodka is a grain-to-bottle spirit made from soft white winter wheat. 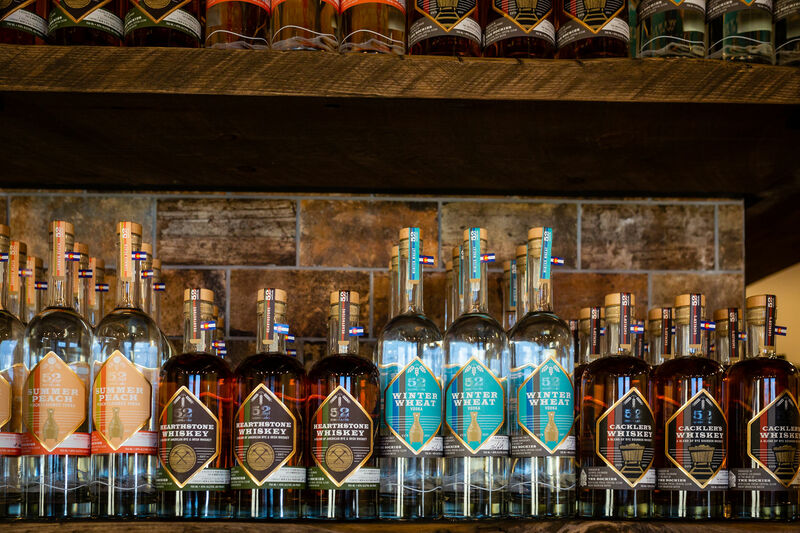 The distillery’s taproom offers 15 specialty cocktails, including a Palisade Mule, a Rocky Mountain Sunset and a traditional cosmopolitan. The taproom is open from 2 p.m. to 8 p.m. Wednesday and from noon to 4 p.m. Saturday and Sunday. The four spirits currently available are Summer Peach Vodka, Hearthstone Whiskey, Winter Wheat Vodka and Cackler’s Whiskey. In addition to the tasting room, 52eighty’s products retail at 58 outlets in the area. And the owners are working on expansion. 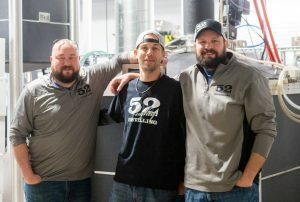 They have a gin and a single-malt whiskey currently aging in their facility, and plan to launch a barrel-aging program in the next few weeks. In March, Demgen said they plan to hire a sales employee to add to the distillery’s staff of the three men, their wives and Erick’s son, who works as a production assistant. The distillery also may add an outdoor patio, and plans to partner with food trucks in the future.